Argentina is to make a formal complaint to the United Nations over what it calls the British "militarisation" of the Falkland Islands in the South Atlantic. 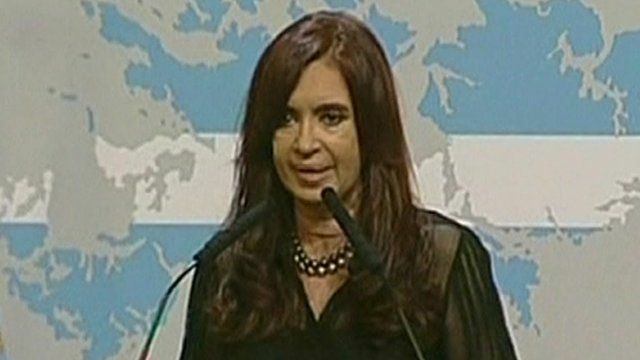 Argentine President Cristina Fernandez said Britain's recent actions amounted to a threat to international security. Britain announced it was sending a destroyer, HMS Dauntless, to the Falkland Islands, which Argentina calls the Malvinas. London described it as a routine deployment, but it has heightened tensions in the run-up to the 30th anniversary of the Falklands war.